Microsoft said Wednesday that it has added natural-language search to its internal Windows 8 Smart Search. Users can write out queries as sentences or thoughts, rather than try to puzzle out the correct search term. Users must be "updated to the latest release of Windows 8," the Bing Relevance Team said in a blog post. Users apparently don't need to download an update; the improvements will just appear. "One of the most exciting things about this feature is that it demonstrates how the Bing platform makes our Windows product more useful and helpful without having to update the Windows client software," the Bing team wrote. "Just like our speech work in Xbox or our constantly improving Cortana functionality, the power of Bing as a platform means products you use every day simply get more personal, helpful and intelligent every day." 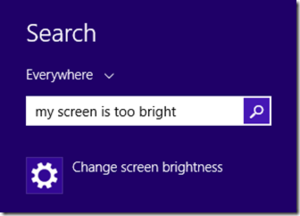 With the new release, users should be able to see queries like "my screen is too bright" suggest the "Change screen brightness" setting menu, or "get apps for Windows" will suggest the Windows Store. However, other common queries, such as "how do I connect to the Internet" or "find my printer" simply return a search page. Microsoft has steadily upgraded its search capabilities, improving the Bing search engine on the Web. 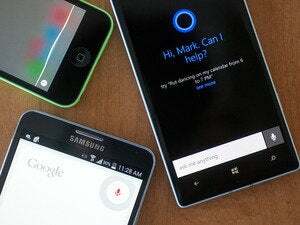 A year ago, Microsoft detailed how Bing could be used as an assistant, the precursor to the natural-language capabilities found within Cortana, the new digital assistant Microsoft made the centerpiece of Windows Phone 8.1. Cortana features a combination of machine learning and some hip, preprogrammed responses to give the illusion of an artificial intelligence within your Windows Phone. Just as Google Now has migrated from the Android operating system to your Chrome browser, however, it appears from what the Bing team wrote that Cortana is one of the next steps for the Windows platform. Whether she'll appear in the rumored fall update or a subsequent release isn't known. When we asked about Cortana for Windows, a Microsoft representative implied that our query was on the right track. 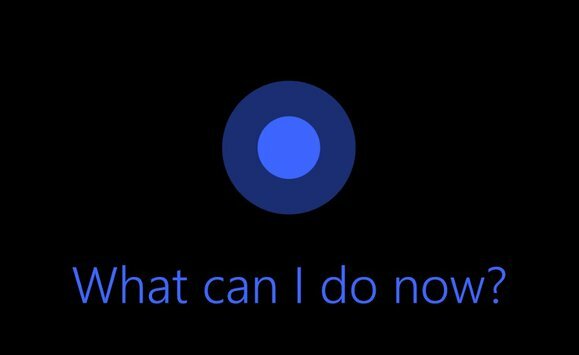 “We are not disclosing details about future releases, but we continue to explore ways to provide the great functionality of Cortana to more Windows users," he said in an email.